There are many fees and costs associated with maintaining your real estate license. If you're not practicing real estate full-time, these costs can make it difficult to keep your license. That's where we come in. We make it possible by eliminating much of the overhead costs associated with maintaining your real estate license. Learn more about us, our philosophy, and discover how you can join us. With our company, you can either hold your real estate license active or you can take a more active role by working with clients--purchasers and/or sellers--to find them a home or market and promote their listing on the internet. Additionally, you can offer many other services to your clients, including open houses, feature sheets, flyers, and so much more. This helps to increase your portion of commission by not having to employ a cooperating Broker. We will provide you with leads and referrals generated by advertising or other agents employed by our company. You will also receive full support from our sales managers. All clients (buyers or sellers) that you refer to us are handled by one of our agents or cooperating Brokers who offer a referral fee. To join our team, please download the applicable form below. Send, fax, or email your documents and attachments to us once they are filled out. We look forward to welcoming you to our team of more than 300 sales representatives and associate Brokers across Ontario. If you've completed your final course, click on the link below to download our "Application for New: Salesperson/Broker" form. Return the form to us at our address listed, or by email to cronerealty@sympatico.ca, along with a check in the amount of $168.37 ($149.00 annual administration fee plus $19.37 H.S.T.) payable to "Crone Realty Ltd."
You should also enclose a check for the $590.00 license fee made payable to the "Real Estate Council of Ontario." This fee covers a two-year period. You may also pay this fee by completing the attached RECO credit card form. Finally, you should also send us your course transcripts. Upon receipt of all of the above, we will complete the employer's section and forward the documents to the Real Estate Council of Ontario to complete your registration. To transfer from your current Brokerage, click on the link below to download the "Notice of Employee Change" form and then return it to us at our address listed, or by email to cronerealty@sympatico.ca, along with a check in the amount of $168.37 ($149.00 annual administration fee plus $19.37 H.S.T.) 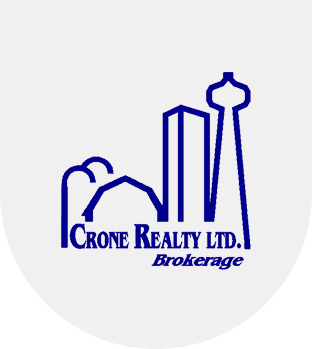 payable to "Crone Realty Ltd."
You should also fill out the RECO credit card form for the $100 transfer fee, which you can download below. You can also send us a letter of termination addressed to your current Brokerage. Upon receipt of the above, we will complete your transfer. In order to reinstate your current license, click on the link below to download the "Application for Reinstatement: Salesperson/Broker" form, and return it to us at our address listed, or by email to cronerealty@sympatico.ca, along with a check in the amount of $168.37 ($149.00 annual administration fee plus $19.37 H.S.T.) payable to "Crone Realty Ltd."
You should also enclose a check for the $590 license fee made payable to the "Real Estate Council of Ontario." This fee covers a two-year period. You may also pay this fee by filling out the RECO credit card form. Upon receipt of the above, we will complete the employer's section and forward the documents to the Real Estate Council of Ontario to complete your reinstatement.